Actors Ryan Reynolds (L), James Franco (C) and Amy Schumer (R) are among the celebrities starring in a new ACLU video to address the the situation associated with President Donald Trump's previous policy of separating immigrant children from their parents at the U.S.--Mexico border. The fight is not over yet, according to several Hollywood stars. Earlier this week, the American Civil Liberties Union released a video via their YouTube account in partnership with Maggie Gyllenhaal to address the situation associated with President Donald Trump's previous policy of separating immigrant children from their parents at the U.S.--Mexico border. The video was a collaboration between Gyllenhaal and attorney Lee Gelernt who also serves as deputy director of the ACLU's Immigrants' Rights Project. A plethora of famous faces including Amy Schumer, Aubrey Plaza, Ryan Reynolds, James Franco and Julia Louis-Dreyfus appear in the video. All the stars join together to read the story of Mirian, a Honduran asylum seeker who is part of the ACLU's lawsuit and was separated from her 18-month-old son, in the hopes of highlighting the tragedy many parents face every day that they go without being re-connected with their loved ones. Mirian's son had to celebrate his second birthday without her this past Fourth of July holiday. This video is a contribution to the cause that many celebs have already openly spoken out in support of. Just earlier this month, Chrissy Teigen and John Legend donated a whopping $288,000 to the ACLU in honor of President Trump's birthday. 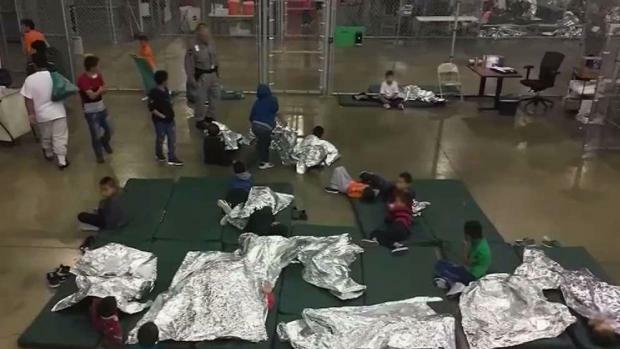 Dozens of migrant children are being released from detention centers and reunited with their parents Tuesday. Kris Sanchez reports. This past April, Trump's immigration policy was enforced, leading to over 2,300 children displaced from their families. After months of defending his policy, Trump decided to sign an executive order that ended family separation at the border and allowed thousands of parents and children to reunite. The video has sparked conversation around the hashtag #MyNameIsMirian in the hopes of making sure "stories like Mirian's never happen again--period." 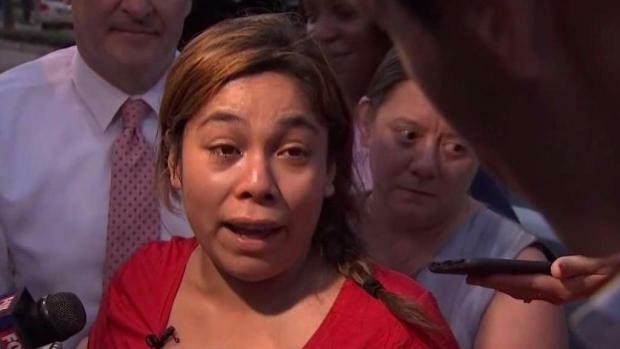 NBC 4 was at the emotional scene in New York City after a mother was reunited with her children who were separated from her at the border. Learn more about the cause and how you can help by visiting the ACLU's website.